Internet's baby crush Taimur Ali Khan is making a lot of starry appearances these days. Only yesterday, the baby was spotted exiting the residence of his maternal grandmother Babita with his nanny. And now, fresh photos of the Baby Tim has splashed all over the internet again. Taimur has made an appearance with his dad Saif Ali Khan and his photos will definitely leave you with a smile. The cute little patootie is seen trying his hand at Badminton. 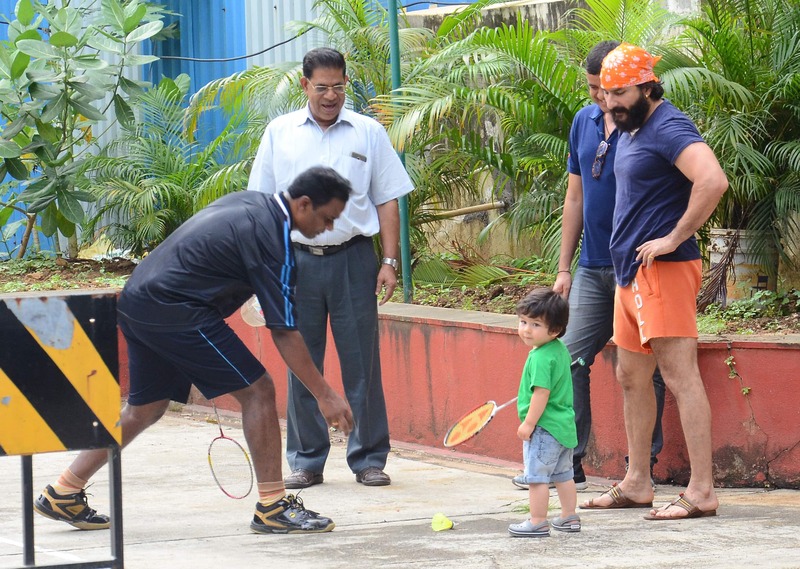 He is seen smiling as he swashed the racket against the air. He also gazes at the paparazzi clicking his photos and waves at them. Saif, who is standing close to Taimur, appears to be amused looking at his son's cute antiques. 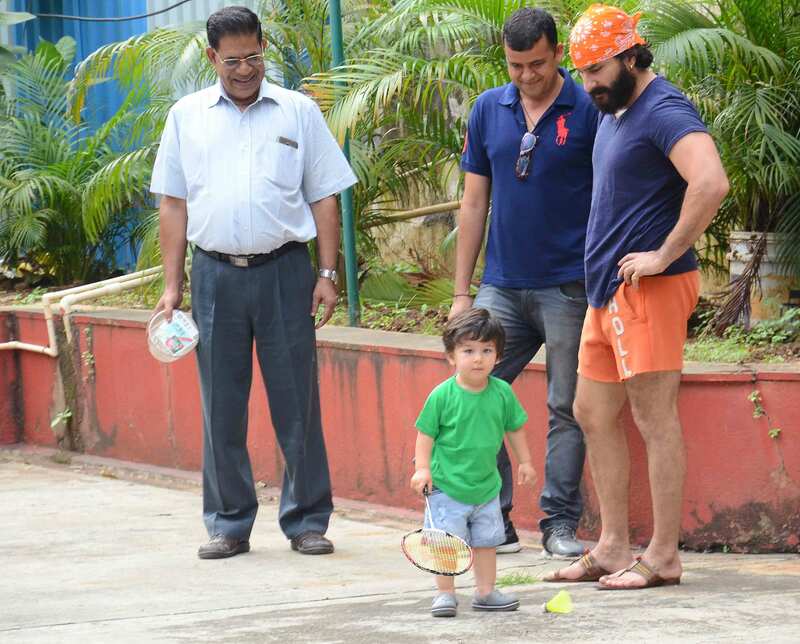 Taimur was dressed up in a green tee and blue shorts and Crocs as he stepped out with his dad for a game of badminton. 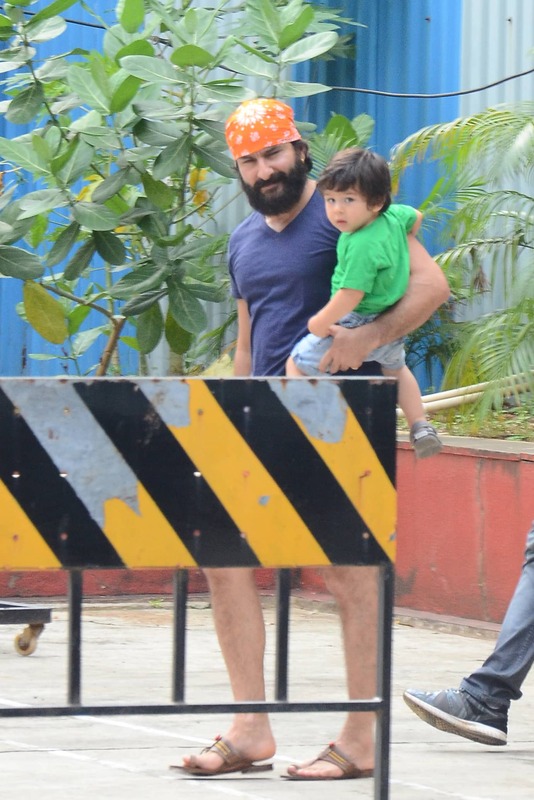 Taimur, who now responds to the paparazzi was all smiles looking at the cameras. Baby Nawab, who turned a year old on December 20, 2017, had a classy birthday celebration held at Pataudi Palace where only family and close friends were seen in attendance. Saif and Kareena Kapoor Khan have time and again expressed their concerned about their son being clicked everywhere and his photos and videos going viral on the internet. They have stated several times that it bothers them as parents a lot about Taimur being under constant media attention.